Marcus Milwright is a professor in the Department of Art History and Visual Studies, University of Victoria. His research interests include the art and archaeology of the Islamic world, cross-cultural contact in the Medieval and early Modern periods, traditional craft practices across the Islamic world, and the history of medicine. He is involved in archaeological and art-historical research in the Middle East, Greece, Canada, and Britain. Located on the Temple Mount in Jerusalem, the Dome of the Rock was constructed at the end of the seventh century by order of caliph ‘Abd al-Malik. This seminal structure has been much studied but no definitive interpretation yet exists of the meanings conveyed by the Dome at the time of its completion. The recovery of meaning is complicated by the paucity of primary written sources relating to the construction phases of the building and the motivations of its patron. This book concentrates on the most important surviving primary text, the long mosaic inscription running around the interior. Comprising a dedication and date (72/691-92) and material of a religious nature, the mosaic inscription provides vital evidence for the reconstruction of the meanings and functions of the Dome of the Rock. The detailed study of the mosaics helps to place them in the context of Late Antique monumental writing, particularly in Greek. 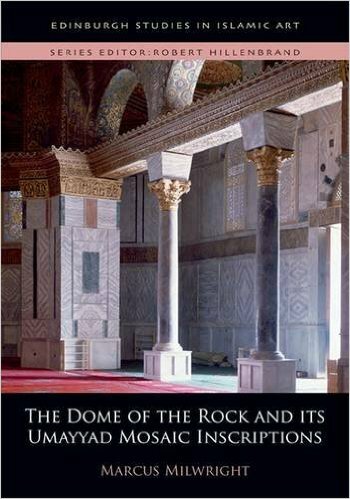 The book makes use of contemporary Islamic coins, graffiti, and other inscribed objects in order to examine the Dome of the Rock in the relation to the ideological concerns of the Umayyad elite during and after the second Civil War.